Ah, finally my first review of 2014. After fighting of several nose blocking colds, my sense of taste seems te be back at normal. 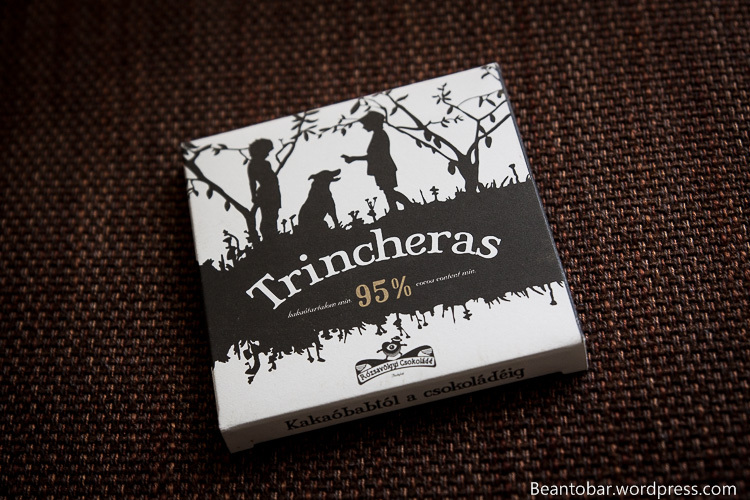 Just in time to discover this tiny bar by Rózsavölgyi Csokoládé, a Hungarian Single Origin bean-to-bar chocolate manufacturer. 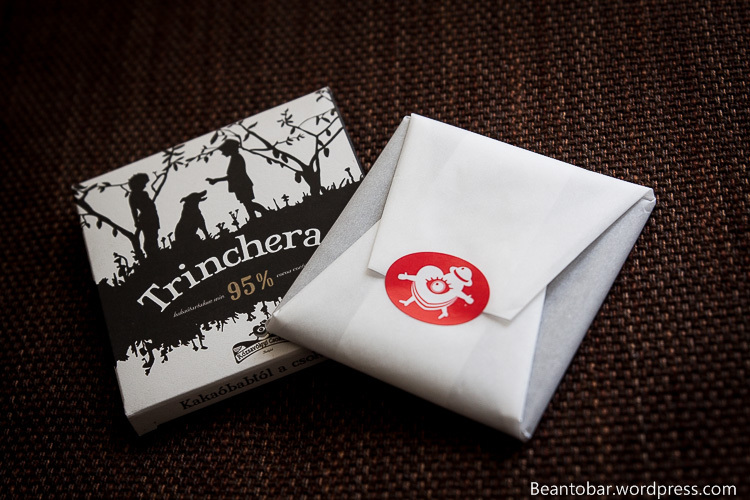 Their Trincheras 70% allready made for a great discovery, so why not push the cacao a little higher. 95% is a little outside my comfort zone when it comes to chocolate. While these high percentage cacao’s sure develop quiet a taste, I find them pretty brutal to the palate. As usual, this bar comes in a magnificent little cardboard box. Rózsavölgyi keeps the design pretty simple, yet stylish and refined, while keeping an East-European vibe to it. Nice! Inside, a white wrapper keeps the bar protected. On officially has to break the red seal to get to the goods. A nice touch, Rózsavölgyi pays attention to the little details. The bar itself is pretty tiny and thin. At 25 grams it’s hardly hefty! But high percentage chocolate delivers such a taste, there is no need to buy it in big blocks. One must take time to enjoy this creation. The design is almost minimalistic. 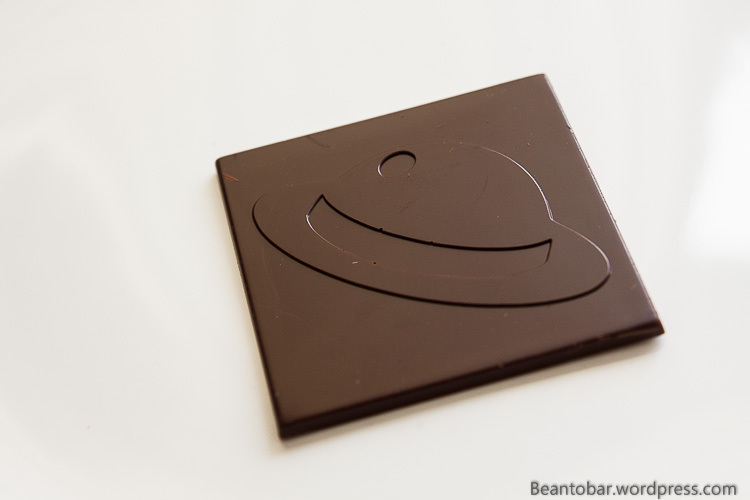 A flat bar embossed with a little hat. That is all it takes to make a good looking piece of chocolate! Colour: A deep and dark brown, yet not as particular dark as expected. When turned around in the light, it shows brief red hints. Taste: a slight dry but delicately sweet start-off, with the expected tannins kicking in after a few seconds without being to overpowering the palate. 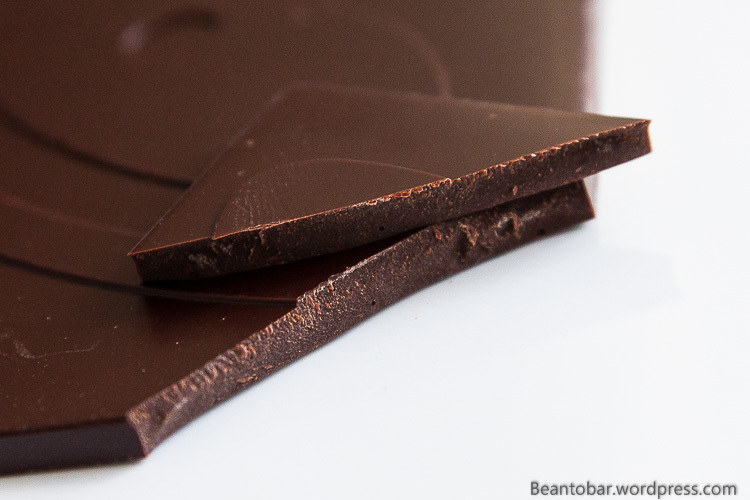 The melt is wonderfully smooth while the deep acidity of high cacao remains very well controlled. The silky, velvety texture slowly releases very herbal notes and spicy tones very unusual when compared to the 100% bars I tasted before. Gingerbread comes to mind, followed by some pepper and grass. Just near the end, a wonderful little touch of acidity lives up the taste before a glorious cloud of smoked cacao starts the aftertaste, releasing heaps of chocolate entwined with the gentle acidity. The aftertaste makes this bar even better as it keeps going and going and going. Even minutes after the chocolate melted away, it’s aromas still linger around. And that’s a good thing! I’d say this is like an Aston Martin car. It’s not as in your face as those wild “Ferrari-Lamborghini” 100% bars. It just knows its own power and gently delivers it. discrete and overwhelming. A winner in my book.